When I announced our poetry unit to my high school freshmen, I was met with loud sighs and groans. While I was disheartened by the reaction, I was not surprised. I remember feeling similarly about poetry when I was their age. Poetry was difficult, boring, coded, dated, and not relatable. When I look at the literary canon—Walt Whitman, Robert Frost, Edgar Allan Poe, and others—that reaction makes sense. The poets that students are so often exposed to are overwhelmingly male, white, straight, and, well, dead. We shouldn’t necessarily stop teaching these poets, but we also shouldn’t let this canon limit how we define poetry, nor should we automatically make these poets the default. Teaching ninth grade English language arts at a public high school in Los Angeles, I was looking for ways to better help students connect and engage with the magic of poetry. I was thrilled to find a movement on Twitter called #TeachLivingPoets and was inspired by it. I was excited to demonstrate to my students that poetry does not exist solely as an artifact of the past—it’s happening now. 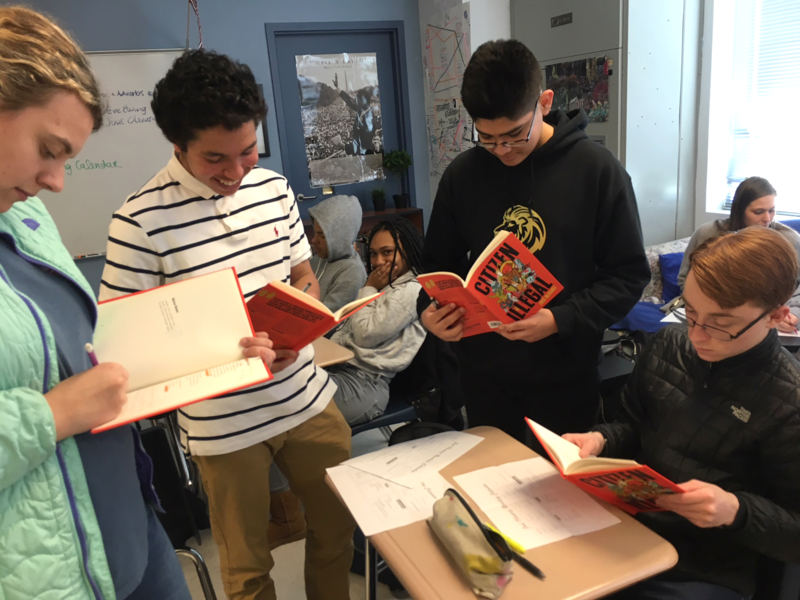 By teaching living poets, we not only provide more modern and relatable content for students to analyze, discuss, and write about, but also remind them that they too are poets. When students read relatable poetry, it helps them view themselves as creative artists as well. When I began this poetry unit, my first goal was for each student to find just one poem that they connected with and loved—no easy feat. I had several students who were particularly resistant to the idea of poetry. 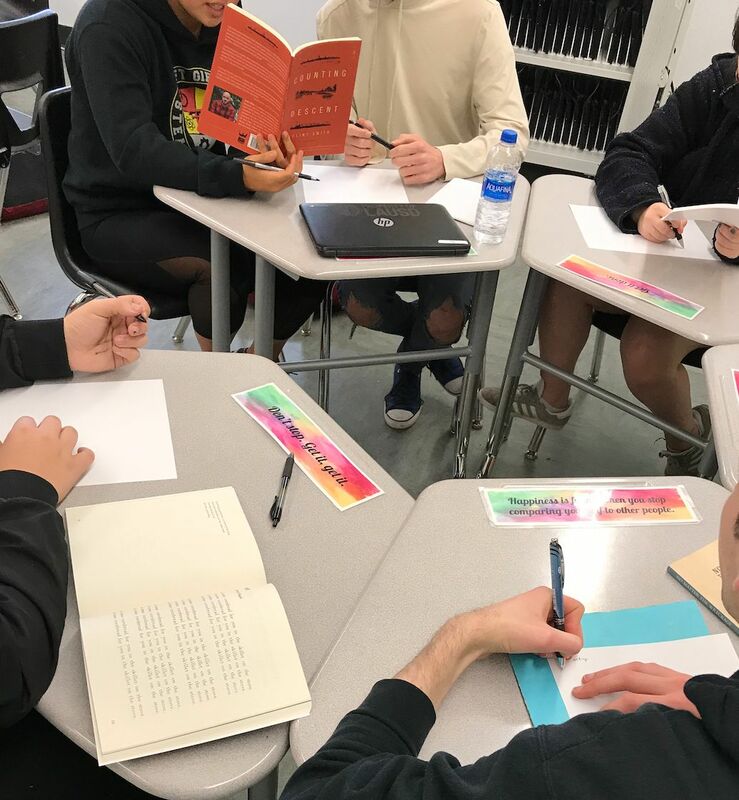 So I decided on a few introductory activities, starting with poetry blind dating, to promote student discovery and student choice in this process. Before I started the poetry unit, my students created a word cloud of terms that came to mind when they thought of poetry. The most common words: rhyme, difficult, bad, dumb. After the poetry unit, they shared such words as powerful, beauty, fun, art. If your students are still not connecting with poetry, challenge them to research other living poets. Allow them the freedom to take charge of their own learning and explore poetry on their own—not just who and what you have provided for them. Let them step inside the ever-expanding world of poetry and share poems they find (or write!) with others in the class. When we teach poetry, we really must stop and reflect on the purposes of these lessons. Why poetry? Why teach, read, or write poetry at all? Poetry connects us in ways that many other types of texts do not. It moves us. It expands our worldview. It challenges societal norms and expectations. And it reminds us that we are not alone. That words are beautiful, and powerful, and meaningful. And this beauty, power, and meaning are not limited to the past. Poetry is living. It is breathing. It is happening all around us. All we need to do as educators is open that door for students, and bring our classrooms alive with living poets.